Participating in the project, the units will be trained in safe production techniques, improve conditions to satisfy market requirements and skills to access new markets, etc. 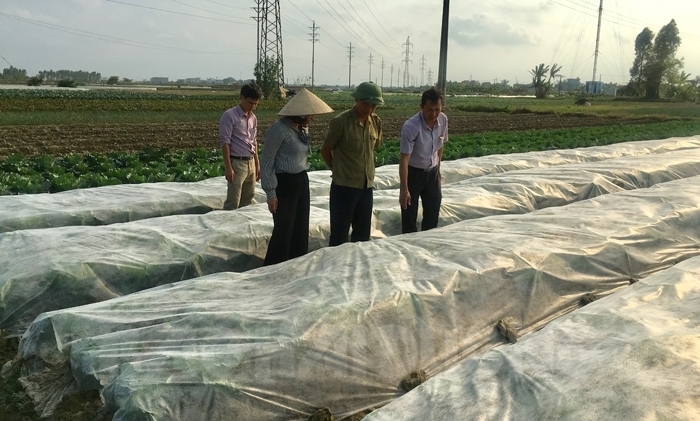 This year, six subsidiary crop producers in Hai Duong province have been chosen to join in the Project for Improvement of the Reliability of Safe Crop Production (Safe Crops) funded by Japan, according to the Department of Agriculture and Rural Development. Those are Thanh Ha Safe Vegetables, Tubers, and Fruits Co., Ltd. (Thanh Ha), Gia Gia Food JSC. (Hai Duong city), Duc Chinh Cooperative (Cam Giang), Tan Minh Duc Cooperative (Gia Loc), a safe vegetable production group in Lua hamlet, Doan Thuong commune (Gia Loc), and CP-Green Farm safe vegetable, tuber, and fruit production establishment. The project covers an area of 90 ha in Hai Duong with the participation of 521 households. Participating in the project, the units will be trained in safe production techniques, improve conditions to satisfy market requirements and skills to access new markets, and receive support of part of infrastructure construction costs to serve clean production.